A purpose-driven workspace for Los Angeles innovators, entrepreneurs, and creatives. Committed to providing infrastructure and resources to sustain the vibrant surrounding East and North East Los Angeles communities, City Labs Boyle Heights (CLBH) is an environment that incubates and accelerates local business growth. City Labs Boyle Heights (CLBH) is located in Boyle Heights between 4th Street and 6th Street on South Clarence Street, minutes from Downtown Los Angeles. Off street parking is available around the building and parking spaces can be reserved in the CLBH parking lot during regular business hours, Monday - Friday from 8am to 6pm. Go Metro. Take Metro Shuttle Line 620, closes stop located South Boyle Avenue and 4th Street. We are 15 min walk from Mariachi Plaza Gold Line Station. 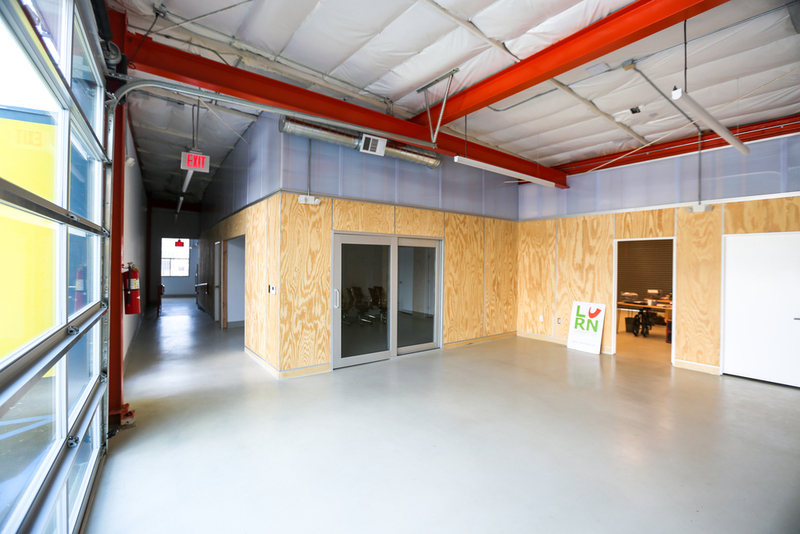 Interested in hosting an event at City Labs Boyle Heights (CLBH)? To book a tour, inquire about an office space or if you just have a question, simply fill out the form below. All conference room bookings, please fill out form here. Copyrighted © 2015 Toledo Capital Development LLC. All Rights Reserved.